A 12 Hour Paediatric first aid course with child CPR training is perfect if you wish to provide first aid in early years settings, such as child minders, school teachers and people working with children. 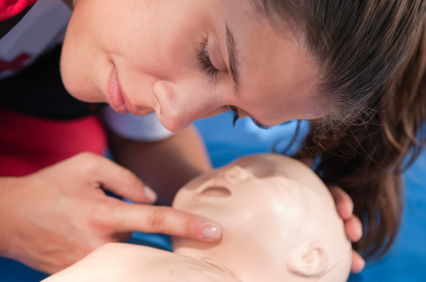 NDA covers everything you need to know so you can gain the paediatric first aid certificate. The course meets the requirements of the Early Years Foundation Stage (EYFS) as published by Department for Children, Schools and Families (DCSF). On our Paediatric First Aid course, you’ll learn about infant and child first aid , how to use a first aid box, how to carry out emergency resuscitation (including child CPR), how to deal with common childhood emergencies (e.g. choking, asthma, epilepsy, injuries) and much more. Whether you already know a little First Aid and wish to build on your basic first aid knowledge or you’re a complete beginner, you’re sure to benefit from our Paediatric First Aid course programme. Upon successful completion certification is valid for three years.